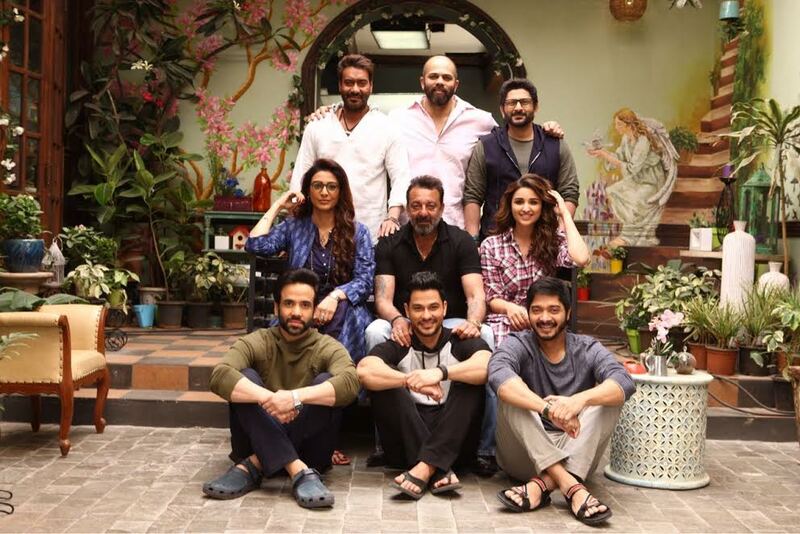 Sanjay Dutt paid a surprise visit on the sets of Rohit Shetty's Golmaal Again. The shooting of the film is underway in Yash Raj Studios where Sanjay met his close friend Ajay Devgn, and even spent time chatting with the rest of the cast Parineeti Chopra, Tabu, Arshad Warsi, Tusshar Kapoor, Kunal Khemu and Shreyas Talpade. The superstar also extended his best wishes to the entire cast of the film.